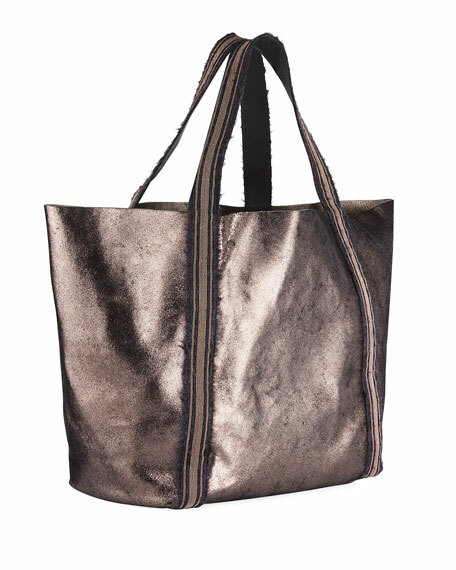 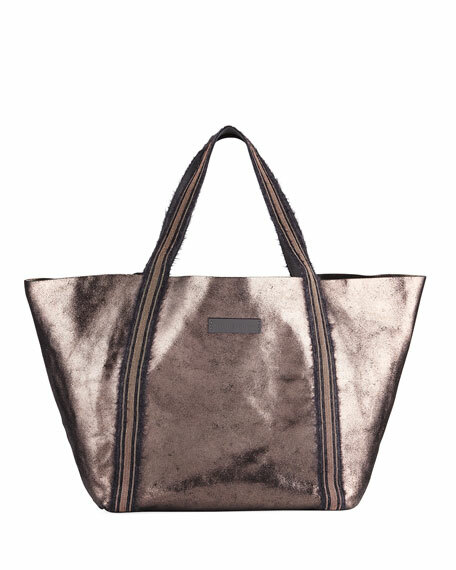 Brunello Cucinelli tote bag in metallic brushed leather. 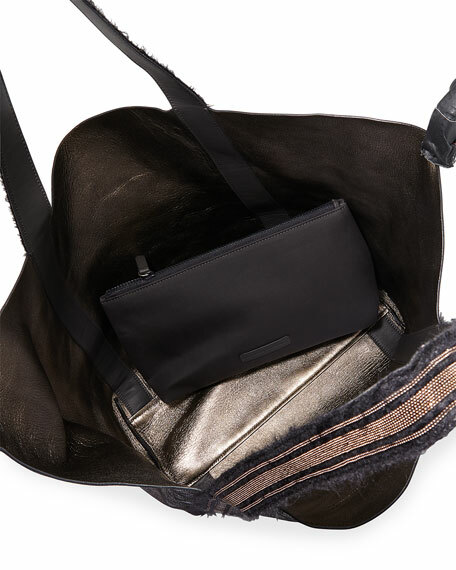 Fringed monili top handles wrap around body of bag. 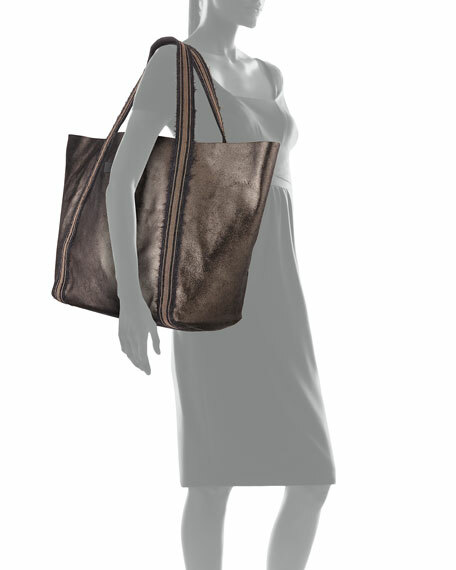 13"H x 26"W x 7.9"D.
For in-store inquiries, use sku #2611474.